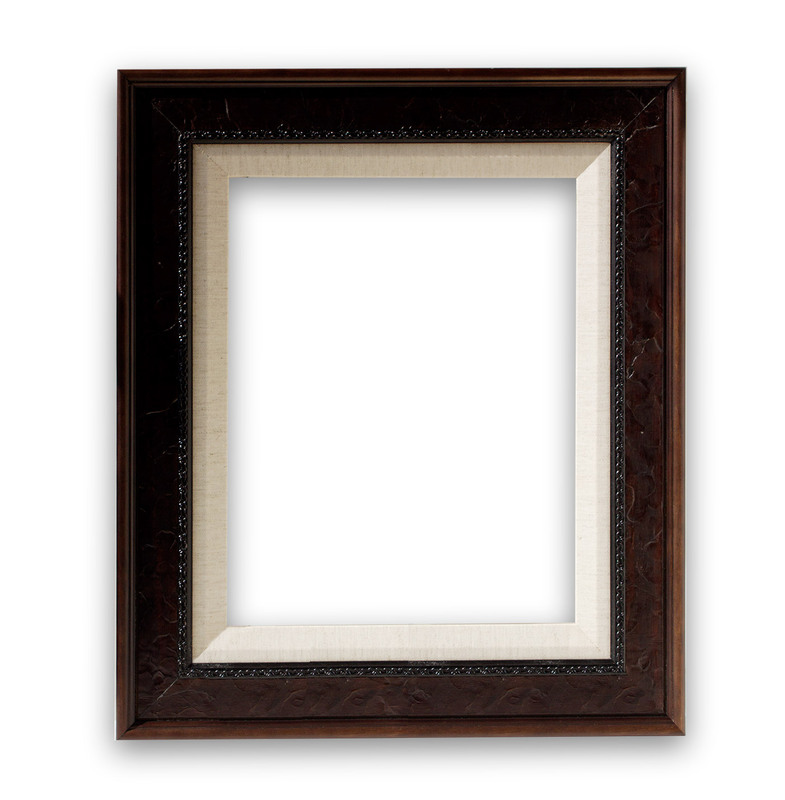 This frame has a texture that reminds me of leather. It is a deep brown color with a 1/4″ black textured interior edge. The inner frame is a linen that measures 1 inch. The total width of the frame is 3 1/4″. All photographs that appear on the site are copyright Angell's Images.